Hand made in the US for DapperLads. 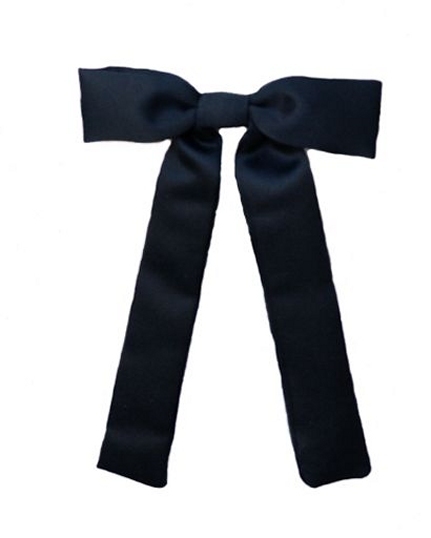 The traditional Colonel western tie in a black poly-poplin. The tie measures 4.5 x 1 and the tie drops 6.5 inches. It fits ages 5 - 14 years approximately. 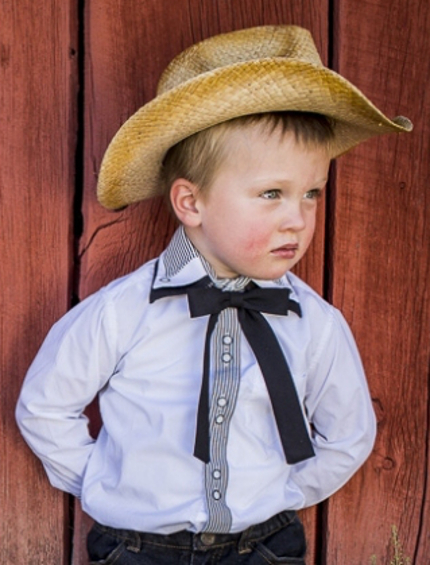 Perfect for rustic and western theme weddings and special occasions or for western theme costumes. The adjustable neck band has a sturdy hook closure. Hand made in the US. Good quality and construction. 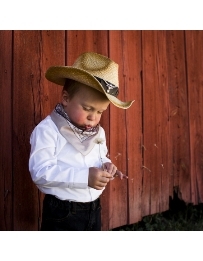 The model is wearing the white button-down shirt, longhorn straw cowboy hat and jeans. See related items below.